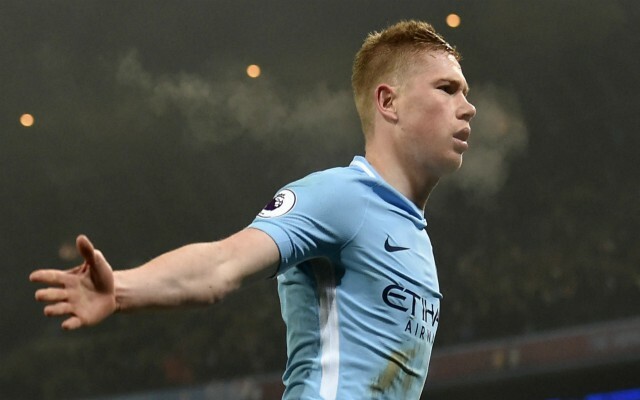 Manchester United midfielder Paul Pogba has revealed that he looks up to Manchester City’s Kevin De Bruyne as a role model in the modern game. According to Stadium Astro via the Daily Mirror, the Frenchman named the three players he admires most in European football in an interview on Friday, as he aims to improve his overall game in the coming years. Pogba listed De Bruyne and Real Madrid playmakers Luka Modric and Toni Kroos as his biggest influences, confessing that he aspires to reach their level. “Now I look at Kevin De Bruyne… Modric… Tony Kross,” Pogba stated, as the Mirror reports. The 25-year-old’s latest comments may come as a surprise to United fans, given the fact that De Bruyne plays for the club’s local neighbours and biggest rivals. The Belgian superstar has been arguably City’s best player under Pep Guardiola’s stewardship, playing a key role last season as the team lifted the Premier League trophy with a record 100 points haul. He has missed the majority of the 2018-19 campaign so far with injury and the defending champions have suffered in his absence, falling four points behind league leaders Liverpool. United meanwhile, are back in sixth place, aiming to recover from a disastrous first half of the season under ex-boss Jose Mourinho, which saw them slip into mid-table anonymity. 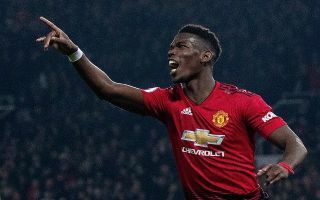 The Red Devils have improved drastically under caretaker boss Ole Gunnar Solskjaer, picking up six consecutive wins and Pogba has been the outstanding player in the team during that spell. At his best, the World Cup winner is the complete midfielder, capable of controlling the tempo of games and match-winning moments, but inconsistency has marred his second spell at Old Trafford. If he can indeed learn from the likes of De Bruyne, Modric and Kroos, by producing the goods week in week out – as he has done recently – then there is no limit to what Pogba can achieve, but it is refreshing to see him show a more humble side of his personality amid waves of praise.